We’ve all heard of Biostar. Biostar has been around since the mid 80’s. Providing a full coverage of motherboards for the budget minded. You purchased a Biostar motherboard, when you had a tight budget and needed to get the job done. Biostar built solid, mainstream motherboards that did what you needed them to do. In recent years Biostar has also pursued the embedded processor market (mainboards with CPUs on board). I have used many a Biostar motherboard with an AMD e350, Intel Atom or VIA CPU firmly soldered (BGA) directly onto the mainboard. These CPU laden boards were primarily used for Home Theatre PCs, with features like HDMI and digital audio outputs (S/PDIF). Well, today Biostar is aiming for the savy, computer gamer, with a new line of gaming motherboards. These boards use better components, better chipsets and carry features that rival the top selling gaming motherboards. This “Hi-Fi” line of motherboards also carries improved audio circuitry for enhanced sound quality. 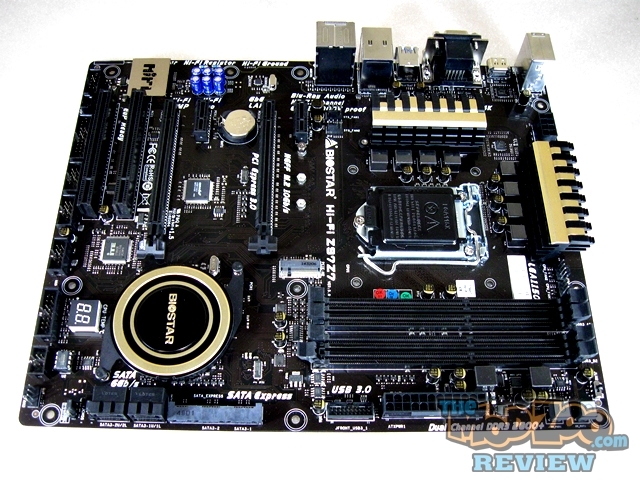 Today we are going to peek at their Z97 entry from this new Hi-Fi line of Motherboards. Motherboard Specifications from the Biostar Website.